Rhode Island car transport shipments are somewhat easy for the simple fact that “Little Rhody” is on the main I-95 corridor, which runs from Maine all the way south to Florida. Rhode Island benefits from being just south of Boston because so much car shipping traffic invariably passes right through it. 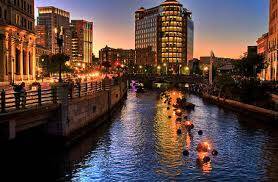 There are only 1,050,000 people in Rhode Island, the eighth smallest population in the country. But it is geographically the smallest state, thus making everywhere relatively accessible. It is densely populated which also makes it easy for our vehicle transport rates calculator to produce reliable quotes. Rhode Island jumped the gun, so to speak, and was one of the first colonies to declare its independence from British rule on May 4, 1776. That invokes images of a chihuahua barking at a great dane, but as we all know, it’s not the size of the dog in a fight, it’s the size of the fight in the dog. To that end, Rhode Island came up big in the Revolutionary War, beating back the British occupation of Newport and chasing the redcoats to Yorktown, Virginia where they ultimately surrendered to General Washington. That end game began in Rhode Island. Nearly all of those towns are within a 30 minute drive of I-95, a key consideration for auto transport carriers. The thing we have noticed about Rhode Island is that it sometimes gets forgotten by auto shipping dispatchers. As a sort of knee jerk reaction, they look first to greater Boston to the north and might overlook similarly priced loads less than an hour away, which might even be a shorter distance from the southern origination. That will make an auto transport broker such as ourselves scratch our heads in wonderment. While we know that sometimes happens, we also know that most discerning carriers are savvy enough to also look in Rhode Island for decent loads. Please know that most Rhode Island car transport carriers are looking at Boston first, which because of the extra distance pays about $50-$75 more per shipment than say … Providence loads. If you the customer choose our expedited rate, which is $75 more than standard, you have a very good chance of stealing the attention away from Boston and toward your vehicle. Why? Because your vehicle will be paying the same as a Boston load but probably going 50 miles less. That makes your order a better deal and presto! you go first and fast. Direct Express Auto Transport was the first car shipping company online to provide instant quotes to ship your car. Not only that, we do not ask for any personal information before giving a quote. Our car transport quote calculator is the original and also most sophisticated online. It factors variables that no other cheap knockoff comes close to emulating, which makes our rates far more reliable. You can visit Direct Express Auto Transport to fill out a simple form and get a free car shipping quote. We make it easy to book your vehicle shipment online.